I live in Wisconsin, it’s cold here, so very very cold here in the winter. I have always admired a winter front porch with a potted topiary but even a hearty one would have a rough life on my front porch. I was determined to find a way to have a topiary this year, and so I did. In fact it turned into good sized tree and makes a statement on my front porch. 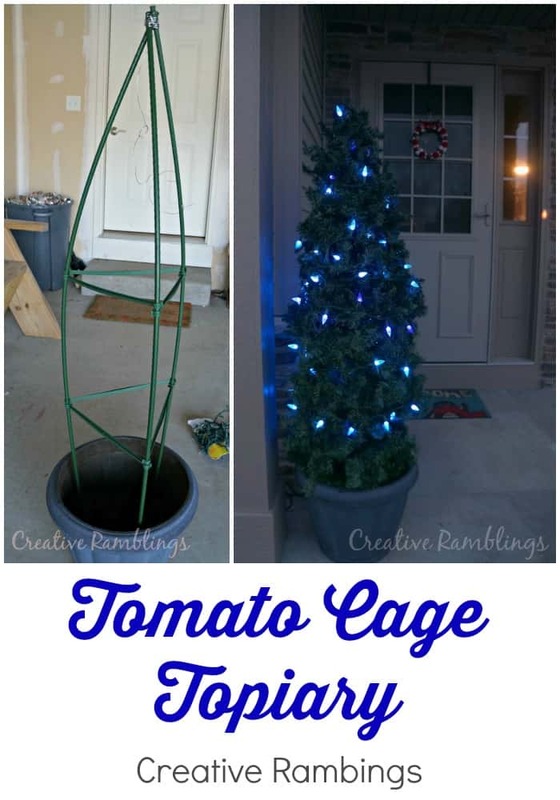 I started by placing the tomato cage upside down in the pot and filling the bottom with rocks. I tied the tops together with picture hanging wire to create a tree shape. Then I started at the top and wrapped garland around the cage. I fluffed it out to cover any gaps and added some lights. 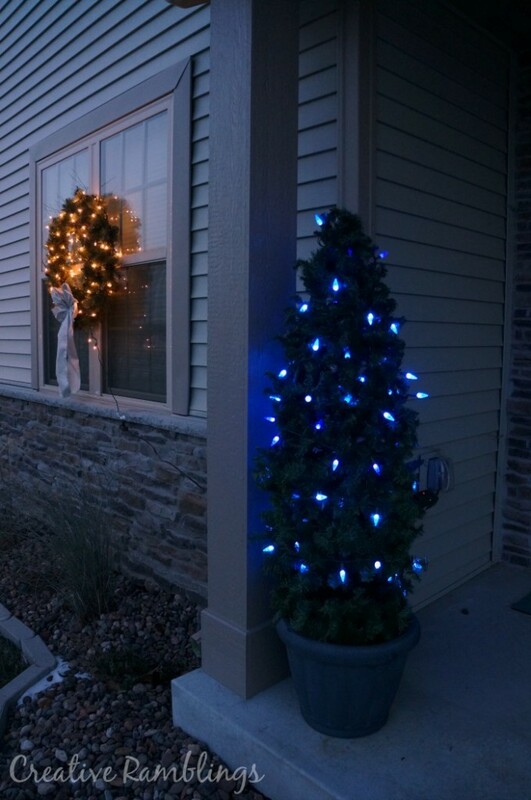 For now it’s one of the lone decorations on my porch, but the rest is coming along. I love how real this looks from a few feet away. I finally have a topiary on my porch! 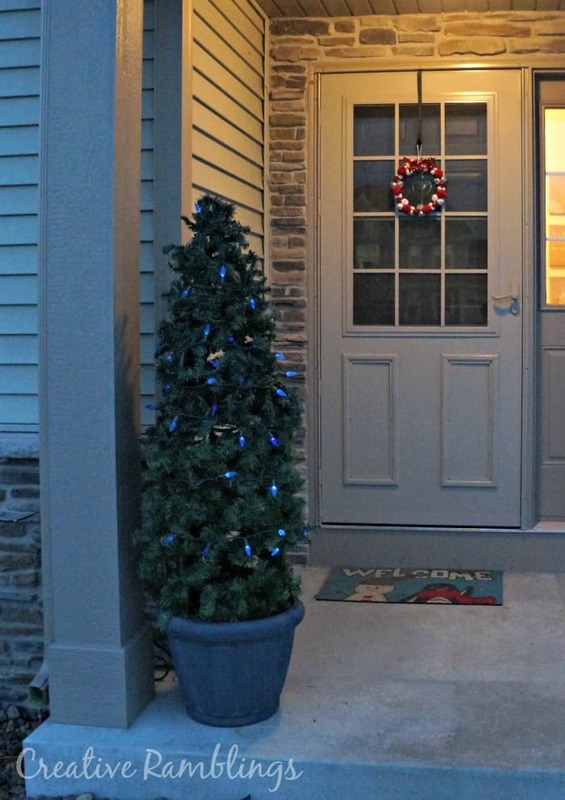 Do you decorate a winter porch? I’d love to hear your ideas.